Going to an indoor ski resort is probably the best offseason training option for snowboard riders (and skiers too), especially those with real snow. In this article, I am going to talk about the world’s biggest indoor ski resort as of 2018 – Harbin Wanda Indoor Ski and Winter Sports Resort located in China. Encompassing a total area of around 80,000 square meters, although they don’t have the longest indoor run in the world, the Harbin Indoor Ski Resort is the biggest in overall size. There are 6 runs, 2 very long magic carpets (150m long!) and 2 chairlifts in the main hall, plus a snow playing area including a snow castle and another first timer area with more 2 magic carpets. The runs are suitable for all levels, from beginner to advanced snowboarders, while 2 out of the 6 runs are moguls and park facilities. You can learn more from this Telegraph news report last year, or watch this video for a quick glance. As a snowboarding instructor based in Asia, I had been to this indoor ski resort several times with my students and friends. Overall I gotta say I just love this place. Why I Love Harbin Indoor Ski Resort? First of all, this resort is really not crowded at all during off season period. It happened quite often that there were only 10 – 20 people in the main hall when we arrived in the morning. 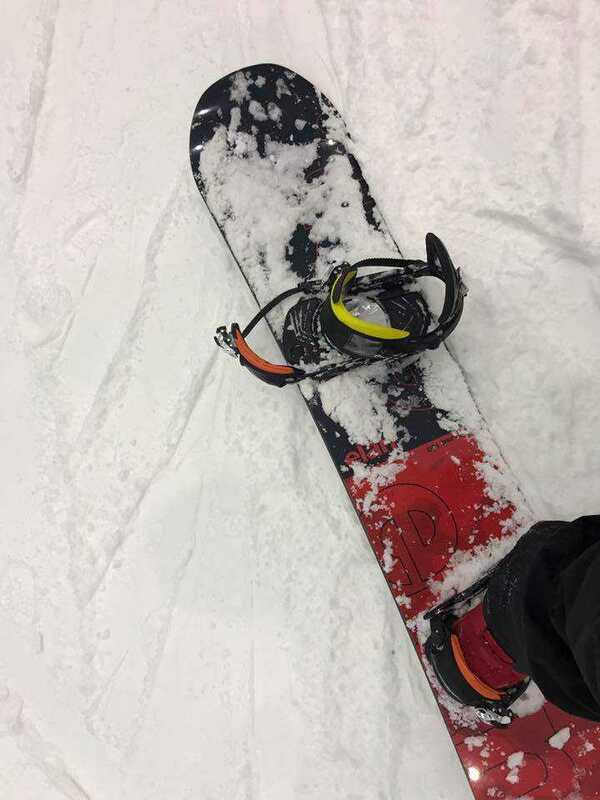 The slope are wide enough and make them suitable for all level snowboarders, especially beginners, intermediate and someone who just wants to practice something new. In general, this is a super duper nice place for you to learn and to sharpen your skills for the upcoming winter. A very impressive detail is – you will not be able to find a single snowmachine there because the snow is falling down from the ceiling. Wow! Just like the real mountain! I’ve just returned from a trip today (2 June 2018). I would say the snow quality is probably the best in the morning when the resort just opened. It’s dry, with a decent thickness and kinda powder!! Til around 2 – 3 in the afternoon the snow is still reasonably nice but you may find the chairlift or magic carpets loading and unloading area a bit icy. When it’s almost 5 pm you may find the snow starting to get slushy and sticky. But don’t worry, the slope was never icy, so yeah, overall the snow quality is really great, just not perfect. Just expect you will experience both winter and spring snow if you are planning to spend your whole day there. Now we’ve touched the topic concerning time, you will love the very very long operating hours of this resort – generally, they open 9.5 to 10 hours per day, from 09:30 – 19:30 on weekdays, or 09:30 – 21:30 on weekends. 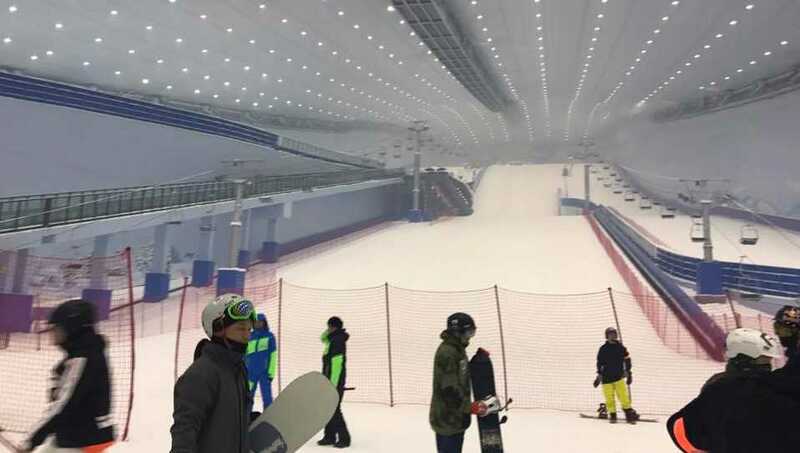 This is a Chinese indoor ski resort, unlike our other snowboarding trips, we especially go there for snowboarding and for sure we will pack all our gears and clothes, i.e. large and heavy luggage. It’s more like a “sightseeing/business trip with some spare time so we are going to take a look at the world’s biggest indoor ski resort!” type. The best thing is that you can rent almost everything in the resort and the rental price is included in your entrance ticket. Hum Hum Hum… ok they don’t provide base layers, socks and gloves rental but you can buy those from the shops nearby. Guess you do want to wear your own set for these next-to-skin items, right? A very important reason why you should go to Harbin Indoor Ski Resort is – both the resorts, hotels and the surrounding areas, e.g. the shopping mall next to the indoor ski resort, the theme park, the airport are all super nice, new and cheap. 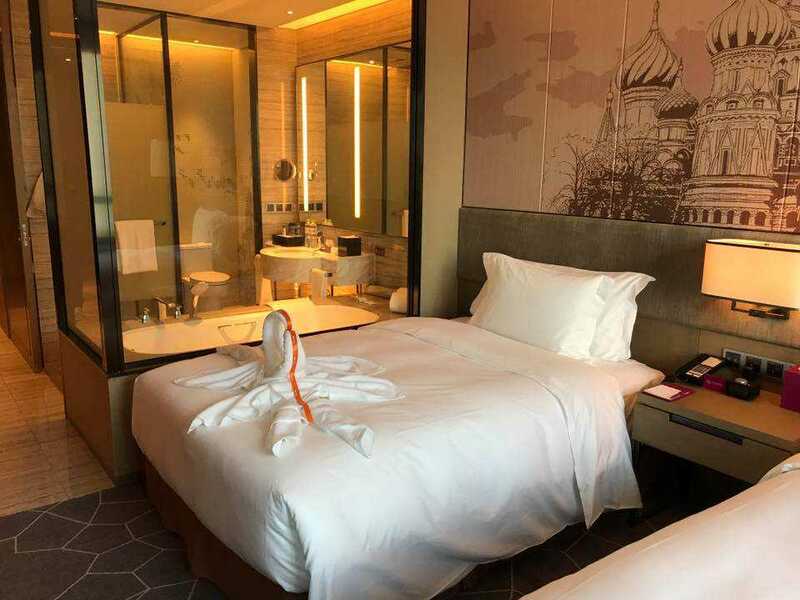 There are one 6-star hotel, Wanda Vista Harbin, and two 5-star hotels: Crowne Plaza Harbin Songbei and Wanda Realm Resort Harbin Songbei next to the Wanda Indoor Ski Resort. All are within 5 mins walking distance, new and with nice decor. Well, very friendly staffs too. I stayed in Wanda Realm Resort Harbin Songbei for most of the time because of the great value of money. Love their staffs, very friendly and always trying to help. However the temperature control could be a problem – I’ve been there in May, June, August, and late October and have experienced different conditions. First of all let’s talk about our trip in May, upon our arrival at Wanda Realm, there was no air conditioning in the room and it was kinda hot. We asked the staff and they said they use “natural wind” and suggested us to open the window. So we opened the window and it got a bit better, we asked for fans and they said there is just 1 fan in the whole hotel. However, they do offer us to change to some “cooler room” though. But then after 3 nights, we had the hot waves and probably the hotel realized it was too hot so they turned on the air conditioning. Then it was fine. The same problem happened when the weather got colder by late October, the hotel started central heating system and our room became super hot. The room temperature went up to 28 Celsius (= 82 Fahrenheit). We complained about the problem and the hotel opened the windows for us and it got better too. So what I would suggest is – no matter what, do bring along a small portable fan (like this one from Amazon) with you. Just imagine a hotel in Europe on hot summer days. 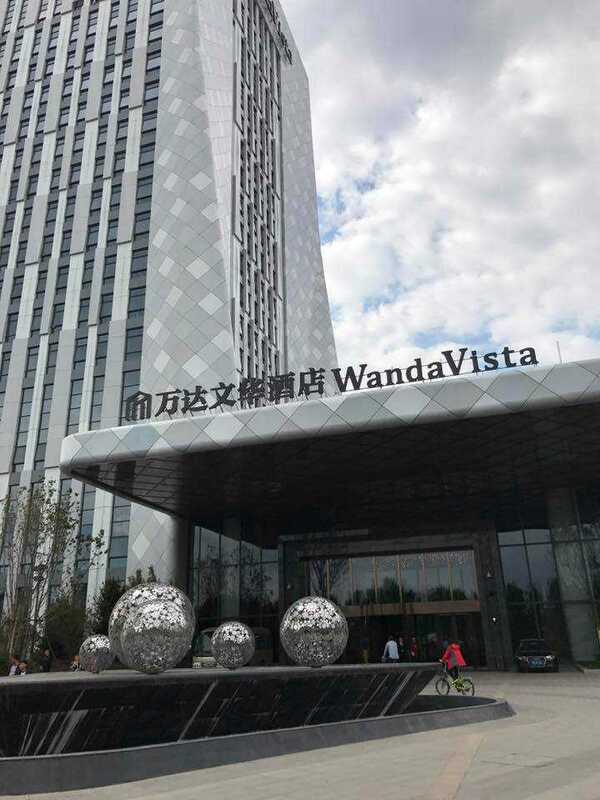 I did stay in Wanda Vista hotel too, it was very nice and the air conditioning was working fine, well for sure that’s a bit more expensive too. However, other than the air conditioning problem, all facilities are finely designed. Adapters are suitable for all countries plug, loads of USB charging ports, large and comfortable beds, traditional and rain showers are available. Another factor that makes Harbin Indoor Ski Resort so attractive is – this is surely a price point option. As an off-season training option, the entrance fees, snowboarding lessons cost, the hotel, dining, and transportation cost is just incredibly low, probably around 1/3 of a normal snowboarding trip. For example, purchasing a bottle of beer in the store would cost you around $0.4 USD, while consuming a beer in a restaurant would cost you around $2 USD, a 100-min full body massage would cost you around $20 USD, taxi fares start from $1.3 USD by May 2018, We took a 25 mins long ride to the city for sightseeing and it cost us around $9. Harbin Wanda Indoor Ski Resort is located in Songbei area, a rather new area locating around 9 kilometers (= 5 miles) away from the city center. This makes your ride going to and from the airport so much easier because you don’t need to be stuck in traffic. The resort itself is located inside the Harbin Wanda Mall, surrounded by tons of restaurants and shops. There is a Theme park next to the Wanda Mall. O yeah, and a blind massage place within 5 mins walking distance from the hotels. When you are fancy for some sightseeing, there are usually loads of taxi just waiting outside of the mall or in front of the hotels, or else, with the help of China Uber app called “DiDi” and all those taxies around the area, you can normally find a taxi within 3 to 5 mins. Chinese food is tasty but sometimes, travelers from western countries may find them too oily or spicy. However, this is not the case of Chinese Northeast cuisine. With a combination of BBQ, stew and salad. 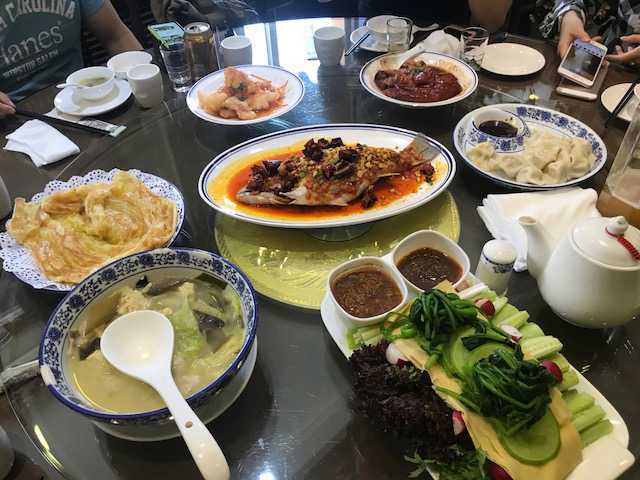 Harbin food may be one of the most acceptable Chinese cuisine for foreigners. For sure, there are always many dining options other than northeast cuisine too. It is so common in China that you can find a street with only restaurants. Sightseeing: Wanda Indoor Ski Resort is located in the city of Harbin, which is the biggest city within the northeast region of China…and well, probably one of the most beautiful Chinese cities. “Paris of China” is how they describe Harbin. Because of the Russian ruled historical background, you can see quite a number of Russian influenced buildings such as Saint Sophia Cathedral, Central Avenue in the city center area. For history lovers, you may want to visit Unit 731 museum, which is kinda similar to the Nazi concentration camp museum in German, displaying the horrific photos and facts from World War II. In addition, Harbin is really close to the very famous Changbaishan mountain in China, also known as the Paektu Mountain. The amazing Tianchi (Heaven Lake) of Chanbaishan is actually a dormant volcano lake, which has been considered as the holy lake by locals. If you are a snowboarder planning for a China hiking trip, Harbin + Changbaishan may be one of your best choices because you can actually combine hiking and snowboarding altogether. Well, I love both, however, it’s kinda sad that by winter time, part of the mountain may be closed because of the ice and snow. 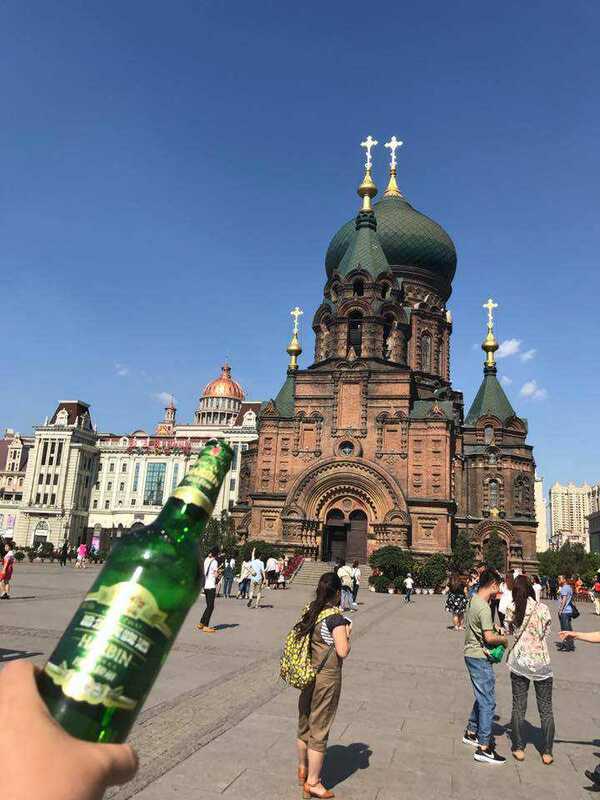 Saint Sophia Cathedral and Harbin Beer, Cheers!! If any of you are actually planning to visit China, for both sightseeing and business, it’s really worth it for you to visit the northeast part, there may be less historic attractions but then the comparatively less human touch amazing nature is just breathtaking. A trip to these less developed areas plus a trip to a historic city like Xi’an or Beijing would give you so much better understanding of the whole “China” concept. Day 1: Fly from other Chinese cities like Beijing, Shanghai, Shenzhen… to Jilin, then from Jilin, you can take a train station, or else, you may consider flying directly to Changbaishan airport. Day 2 to 4: Visit Changbaishan, and leave Changbaishan to Jilin. Day 5: Sightseeing in Jilin, then take the high-speed train to Harbin. Day 6 – 9: Snowboarding or going for snowboarding lessons mix a day of sightseeing. Day 10: Fly out from Harbin. How to Get to Harbin Wanda Indoor Ski Resort? It’s kinda easy, the easiest way is: take a domestic flight or train from any China cities to Harbin, then take a taxi or simply book a car to the hotel. Most of the time we just book a car to the hotels because they are usually nicer car while the price is probably just $2 to $3 USD difference per ride. I saw that there were buses going to and from the airport too, but since the price for booking a car/taxi is so cheap that I have never taken the bus at all… so sorry mate, I cannot give you any opinion about this. What You Need to Pay Attention to? This is probably the most annoying problem for foreigners, let’s face it. English is still not that popular in China. It may be difficult for you to find an English menu or description in China. Harbin may be the biggest city in the northeast area of China but then still, it’s not as internationalized like Beijing, Shanghai and Shenzhen. It’s nothing like you cannot communicate at all, at the end of the day there are some world class 5-star hotels nearby. Just a bit more difficult because only 10% of the people can talk to you. As mentioned earlier, I’ve been there several times, and I always saw some foreigners like Korean, Japanese, European and American there. The good news is – there are several English speaking agents that can offer assistance for your China trip at an affordable price. For example, SnowPantherHK is a Hong Kong and China-based Ski and Snowboard Trips specialists who can help you arranging everything about your Northern China trip, for example, sightseeing spot ticket, snowboarding lessons in English, hotel booking… because one of their founders are ex-professional skiers from Jilin so they have a very strong connection within China, and Thanks GOD most of their instructors are from Hong Kong or Europe, they understand very well the living standard of a tourist from western countries need. This is practically important because the culture difference between pure Chinese and foreigners could lead to quite a few of unpleasant feelings of the tourist. For example, once I’ve booked a car via SnowPantherHK for a road trip from Altay to Kanas Lake in Northern Xinjiang, my friend booked his from a Chinese travel agent because their price was like around 10 to 20% cheaper than the one I was paying, however, the travel agent did not inform him there was a hidden rule “the customers are going to pay for all meals of the driver”. Well, probably this is why they can offer him a 20% discount. So he ended up the driver had always been eating at the same table with his group and saying something kinda mean like “for sure you gotta buy me a dinner” type… and it is really annoying because the driver has no table manner: chews loud, picking the food with his chopstick all the time… because of this driver, his A- trip drops to a B- grade. And we have no such problem at all! Yay! Right, it could be already quite annoying even if you speak Chinese, so it is very important for you as a foreigner who could neither speak nor read Chinese to book your trip from a reliable agent, especially when the price difference is not too much. Simply because they know how to avoid mistakes and unpleasant details that may occur. Almost all countries need to apply for visas before entering China. it’s not that difficult, but yes, you still gotta spend some time and money to do it. It doesn’t make much sense if you just apply the visa for going to this indoor ski resort. However, if you are planning for a China business/sightseeing trip, it is totally worth it for you to go check out this biggest indoor ski resort in the world. The very cheap and reliable courier service, SF Express could send your luggage there within 1 business day so to make your travel with trains very easy. Just send your big luggage to the hotels next to the indoor ski resort and go to Changbaishan or Jilin with a backpack. The cost for train/plane, accommodations, food and entrance fee is so low by non-winter season (around 40% cheaper than winter when there is Harbin ice and snow festival) that makes it a very good value deal: the new airport just reopened in April 2018, new hotels, new mall, new resort, great food. So to round up a bit I would like to say Harbin Wanda Indoor Ski Resort is really a nice place to visit, not just because it’s the world’s biggest indoor ski resort, but this is a great place for you to experience the new China development. Affordable price for snowboarding lessons makes this a great place for you to prepare yourself for the upcoming trips to the mountain. So yeah! If you ever happen to go to China during Spring to Autumn, do plan a trip to this very nice and new indoor ski resort. OOO yes!! 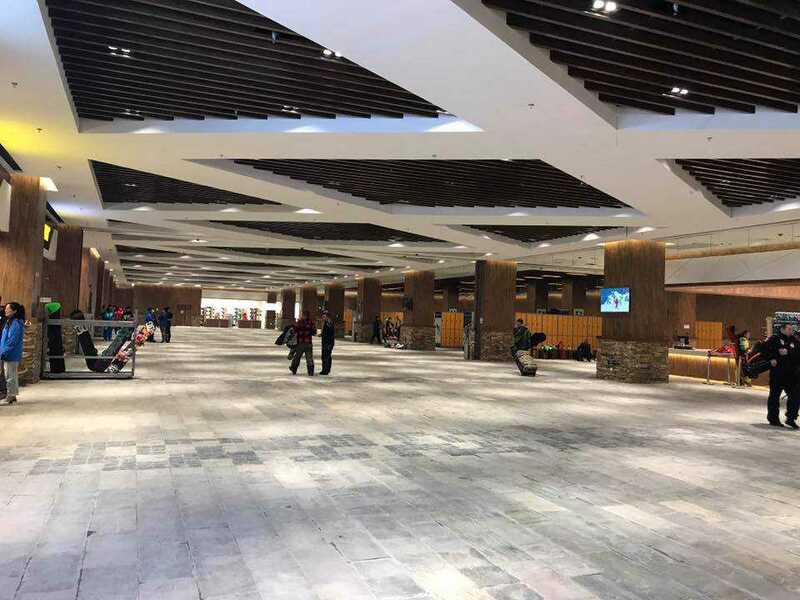 The Guangzhou Wanda Indoor Ski Resort will be opened by 15 June, 2019! Just less than one year to go! It’s gonna be the largest indoor ski resort in Southern China, Just 90 -120 mins away from Hong Kong! Definitely a great new for skiers and snowboarders from all over the world because this is so much more convenient!